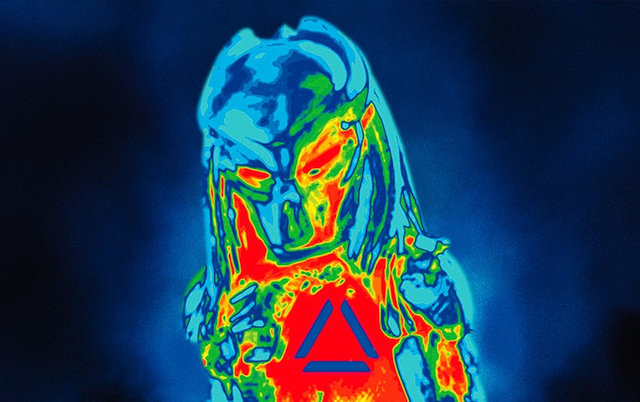 CHICAGO – By the standards of Predator sequels, “The Predator” is easily the best of the bunch. But that’s a depressingly low bar to clear… kind of like saying you got the nicest looking “Yugo” on the lot. Coming 31 years after Arnold Schwarzenegger battled the original “one ugly mother f**ker,” this reboot brings the space alien with the heat seeking vision to the suburbs. The movie gets down to business almost immediately, as Quinn (Boyd Holbrook) fights off the space alien “Predator,” who has slaughtered the rest of his unit south of the border. He purloins a mask and arm gauntlet from the Predator’s crashed spaceship and mails it to his son (Jacob Tremblay) for safe keeping. Quinn is arrested by the military for this heist, and gets saddled on a bus with a group of rag-tag soldiers nicknamed the “Loonies,” while his son manages to accidentally summon more predators to earth while thinking it’s an elaborate video game. That sets the Predator loose in all sorts of homey suburban settings like a football field, a cul-de-sac and a middle school. And there’s plenty of writer/director Shane Black’s trademark tough guy dialogue, but most of the time the jokes and the lines don’t quite land the way they’re supposed to… partly because you can’t make many of them out due to all the explosions. There a few good moments though, with Tremblay’s character mistaking the predator’s mask for a Halloween mask and blowing up the house of two suburban bullies while out trick or treating. 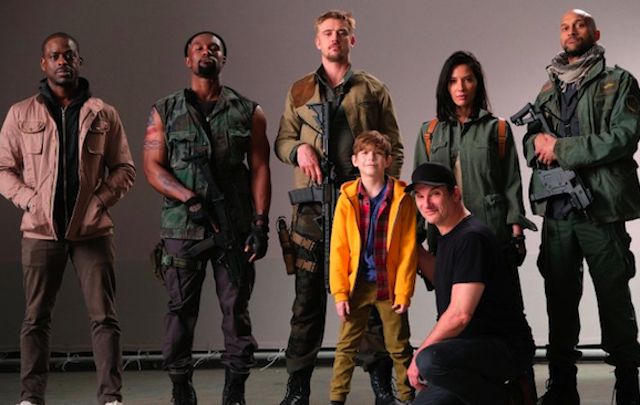 There’s also Sterling K. Brown as a gum smacking CIA agent trying to acquire the alien and its technological hardware, and Olivia Munn as an evolutionary scientist (who also serves as a story exposition machine). The best that can be said is that at least the cast seems to be having a ball, because the action – no matter how dumb or mindless – seems to be the filmmakers primary focus. It sure isn’t the plot, and what little there is of it involves global warming, and a mulligan’s stew of half baked ideas which congeal into something purely perfunctory. It’s not a bad idea to overload a Predator movie with enough wall-to-wall bangs, booms, and bombs, but this time around it comes at the expense of any actual suspense. And while there are new bigger and smarter Predators in this story, they don’t really have any new tricks. Additionally, there are narrative holes big enough to fly a whole fleet of Predator ships through, which doesn’t help. If this film were more of a check-your-brain-at-the-door-fun-fest that wouldn’t matter as much, but it’s not. The original Schwarzenegger-starring “Predator” was an all-time classic, and we’ve kind of seen everything the Predator series has to offer at this point. But it’s been all downhill from that first film, and no amount of snappy one liners can cover that up. When even Shane Black can’t revive a franchise, it’s time to put away the heat vision mask for good.